What does women’s connection group do for me? It brings a higher sense of self awareness, a sense of community, acceptance, trust, and overwhelming power. 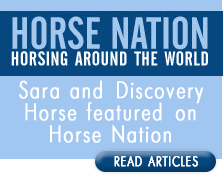 I leave with a magnificent appreciation for what horses teach us and give to us, and gratitude for Sara Sherman and the path she chose to make this all possible. I would not be where I am at this moment if it wasn’t for women’s connection group. I wouldn’t have become confident in myself, I wouldn’t have started my businesses, and I wouldn’t have the compassion I now have for other people. Most importantly, I wouldn’t have the level of appreciation for horses that I now have as a result of getting in touch with this method of coaching. Thank you. What a beautiful coaching piece! Gazing into Sara’s eyes grounded me, held space for me and guided my journey. My re-birth in the round pen was fully supported by Sara and the horse she selected for me to work through my piece of work. “My experience with Sara and the horse “Leo” was so…………profound and powerful. Sara had me do an empowerment exercise with Leo. With their help, I found a place with in myself, of focused intent and deep confidence. Feeling it at the core of my being. Now I can go back to that feeling and access it anytime I want or need to. I enjoyed working with Sara during the Embracing Change workshop I attended at Spirit Horse Center. She has great knowledge/expertise in her field and created an environment where the participants felt comfortable. I left the seminar with a better understanding of myself and had a great time connecting with the other participants. Thank you, Sara, and the horses, Blue, Titan, and Leo, and the handlers, for an awesome experience! Wow covers the breadth and depth of this amazing experience. It has been a month now, as I’m writing on Nov. 28th, and things keep happening and shifting. Insights and awareness continue to open and expand like vistas unfurling along a rolling highway, cresting rise after rise, seeing view after view, until I can see the horizon, and the sky opens up above me. And I open and take it all in. Like a good book, this experience has lingered with me. The minute vibrational shifts in being and awareness run deep and are profound. I feel like I’ve had a frequency adjustment, and I’m more in tune with myself and with where I want to go in my life. The internal impediments are falling away more easily. It feels very similar to working with crystals. But somehow more profound, different. I don’t know if it is because I’m ready for some of these adjustments, or because I’ve been asking for shifts and changes, but it feels very significant, very deep, and I know it has to do with attending your workshop and being with those horses. And it is different from being with my own horses, kind of like how it’s easier to tell a stranger something deeply personal than it is to tell someone close. Whatever the case may be, this work is deep and profound. And amazing. I think perhaps the way to say it is that the shifts experienced are deep at the core of my being, and as they travel outward, the external changes are significant and profound-feeling, but so natural and easy. I believe this work definitely assists in making quantum leaps, and in making it easier to make that leap. Thank you, thank you, thank you, Sara, for listening to that angel that whispered in your ear to invite me to this experience. Because of this experience and your generosity, I feel I’ve finally found a way to channel my calling. I can’t wait for this next adventure to begin. Recently at Discovery Horse, I had the unique opportunity to have an Access Bars session and a chakra healing session at the same time! These two sessions were facilitated by Sara Sherman and a horse named Blue. There was also a horse handler present, Sara’s mom Ann, to make sure everyone was safe during the experience. All I needed to do was get tucked in with blankets on a massage table and allow the experience to unfold. Sara “ran my Bars” by placing her fingers at various positions on my head. I’ve had my Bars run before and similar to the other sessions, this session again found me deeply relaxed and feeling more expanded and spacious. Any similarities to other Bars sessions ended when the horse Blue began his healing work in conjunction with Sara’s . Blue’s attention and focus on me was gentle , multidimensional and intense. Keeping a safe distance, Blue slowly walked around the table, pausing at different areas of my body (face, shoulder, heart, stomach, hips, knees and feet). When he paused, I would feel a slight tingle and sometimes a surging of energy! It seemed both Sara and Blue were offering healing that went beyond my ability to cognitively comprehend. But my heart understood that it was good. Once the session was complete and I went back home, it felt as if I was still connected to what had happened. This lasted for hours. Today, my heart still seems expanded. How did I get so lucky?! Thank You Sara and Blue! If you are interested in receiving an Access Bars session with Sara and Blue please call for details.